Core City Group is a tight knit, well-qualified team with diverse backgrounds and knowledge bases. 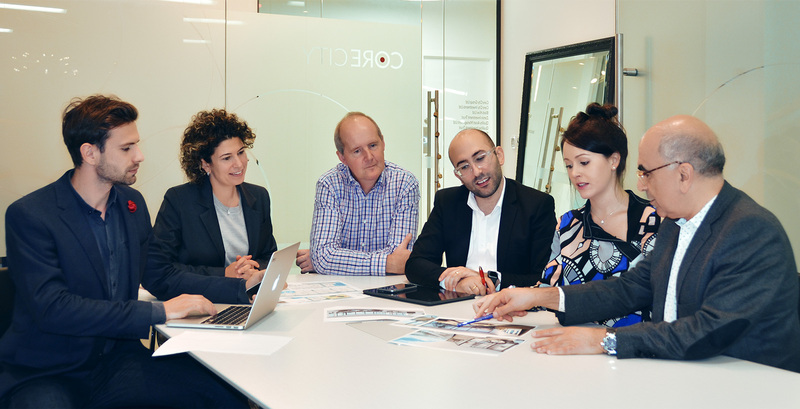 United by a love of property, and a passion for quality, innovation and design, the team works closely together in order to achieve the best results possible. Fastidious and with great attention to detail, Core City pride themselves on building quality buildings, and establishing and maintaining strong relationships with their tenants. Hossain has a Masters Degree in Mechanical Engineering and a Masters Degree in Design from Germany where he lived before coming to New Zealand. Having spent the last 30 years in New Zealand which he now considers home, he sold his successful design business to concentrate on property development and investment, which has been his focus for the last 20 years. Taking a hands-on approach to property investment and development, Hossain is involved in every aspect of his buildings, including property management, to ensure that Core City’s high standards are maintained. Hossain is at the helm of the design, planning and development of Core City’s new projects, and takes personal pride in developing high quality buildings from both a design and functional perspective. Martin is an experienced Senior Chartered Accountant who has held many roles in a variety of different industries and countries over the past 30 years. He is now the Finance Manager for Core City Group, dealing with accounting and management reporting for the Group, as well as contributing to management of Core City’s properties. Martin is currently a member of the NZ Society of Accountants, CA College, and a registered mentor for both the Australian College of Practice Accountants and the NZ Society of Accountants. He is also a registered tax agent with the Inland Revenue Department. Roshan has returned to Core City where he has previously gained experience working in both commercial and residential property management and development. As Project Manager, Roshan is deeply involved in the development of any new projects Core City undertakes. Roshan’s Bachelor’s degree in Computer Science renders him invaluable to the company, as he oversees and maintains the IT systems for the company. Roya brings a wealth of legal and business knowledge to the company, with a Bachelor of Laws, Bachelor of Business Studies and a Bachelor of Aviation to her name. Previously a lawyer with Minter Ellison Rudd Watts, Roya works on legal matters for the company and the projects it undertakes. Her eye for accuracy and detail makes her a great asset to Core City. Detail, design and innovation go hand in hand with form, function, and no compromise on quality.